Since learning about escape rooms last January, I have been completely fascinated with the concept. In fact, one could say I’m a junkie as I’m always looking for a new room that will allow me to put my problem solving skills to the test. 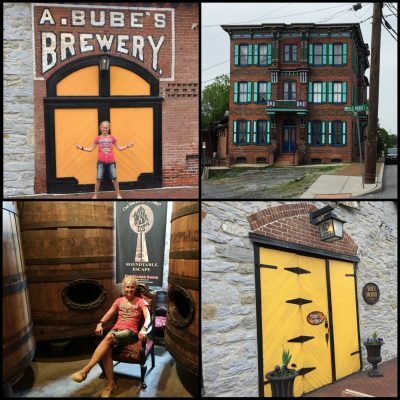 To date, I’ve experienced about ten different rooms, including one in Austin, Texas, but my all-time favorite thus far was definitely the Bootlegger’s Live Escape Room at Bube’s Brewery in Mount Joy, PA. This totally cool adventure is located in the catacombs of a historic 19th century brewery and museum complex. If you’re ever in the area, be sure to put this place on your must-see list! Of course, as I visited each escape room, the educator in me thought wouldn’t this be an awesome strategy to incorporate into a classroom setting? » A training session for middle school teachers. 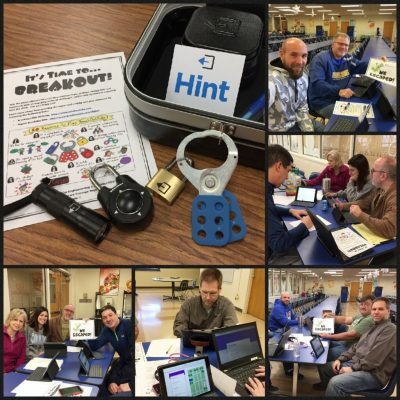 Check ’em out below participating in a digital breakout activity. And then click here for info about the benefits of integrating this concept into the classroom. 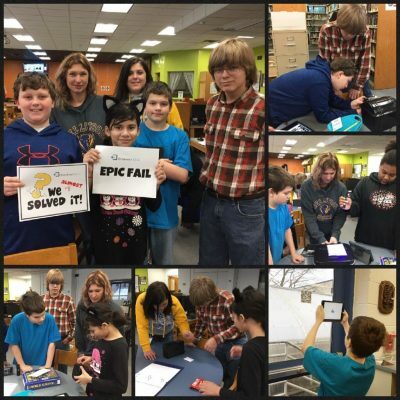 » A Media Center Madness game, a scavenger hunt style activity in which students had to work together using QR codes, hidden messages and puzzles to unlock six boxes within a 45 minute time frame. Click here to read an entire post about this breakout game. 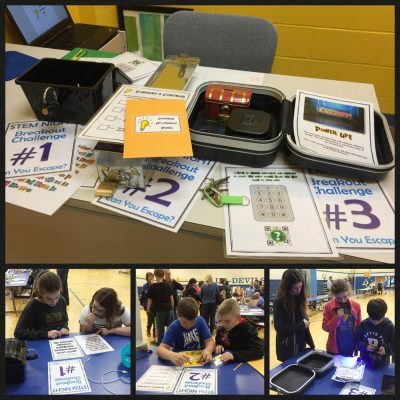 » A series of challenges for our annual district-wide STEM Night. Check out some of our students trying to solve puzzles based on the types of energy. 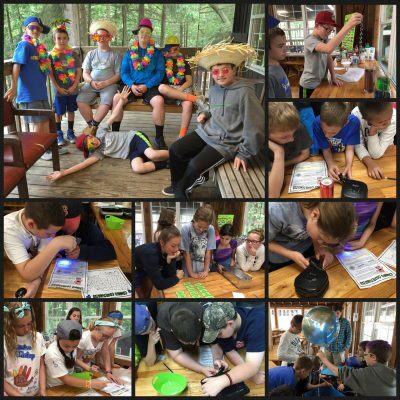 » A breakout game for our sixth grade environmental field trip. 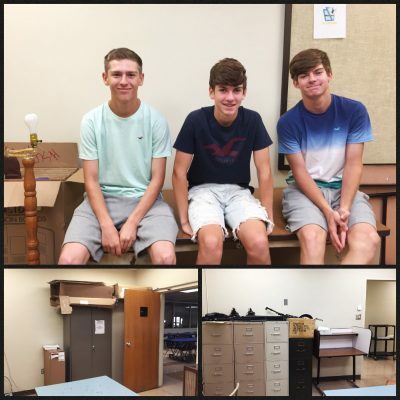 Dubbed Operation Recycle, this activity involved solving a number of puzzles that taught students about the role they can play in protecting the planet via recycling everyday items. Click here for additional info about my most favorite creation to date. My experiences with escape rooms and Breakout EDU games have led to my next super cool adventure—the opportunity to build an actual escape room in our middle school. 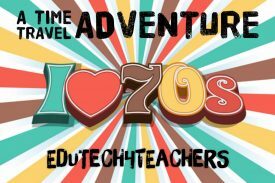 Yep, thanks to BAMS principal Dr. Don Wagner, I am in the process of converting an ISS room into a ’70s style escape room that will be utilized with teachers, staff and students throughout our district—and eventually our community. How amazing is that! The ISS Room before removing all of the old stuff. 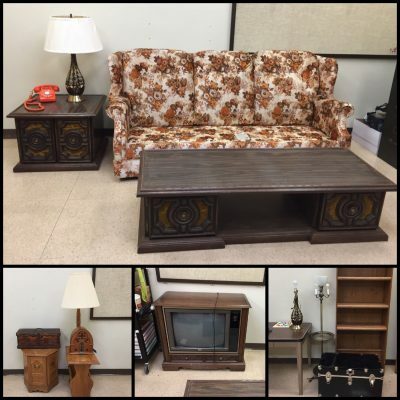 Some of the furniture, games and accessories we moved into the room. The boys had a fun time playing albums from the ’70s. Yes, the stereo actually works! 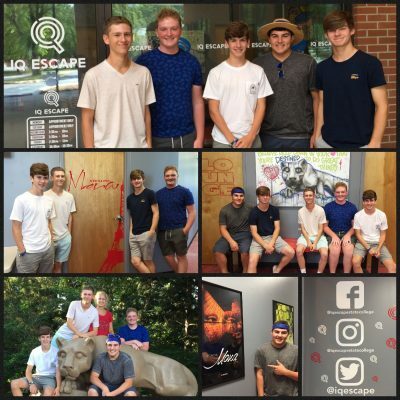 The boys and I visited the IQ Escape Room in State College, PA. We got busted in our attempt to steal the Mona Lisa, but we had a great time trying! These students now have a better understanding of the concept and therefore, will be invaluable when assisting me with the design of our new room. 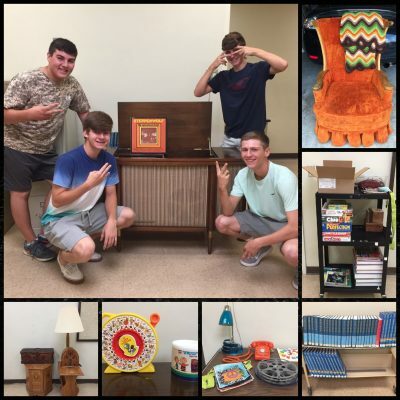 My dad picked up some of the larger pieces of furniture I purchased as well as the TV and lamps that were donated by our Spanish teacher Senora Smith. With the help of my nephews Kyle and Haden, it was delivered it to school for me. I’m currently working on developing various clues and puzzles using items that were popular during this decade—games, music, TV shows and more!